Red Hot Love at Dr. Sketchy’s Berlin! Oh, what a gorgeous show this was! 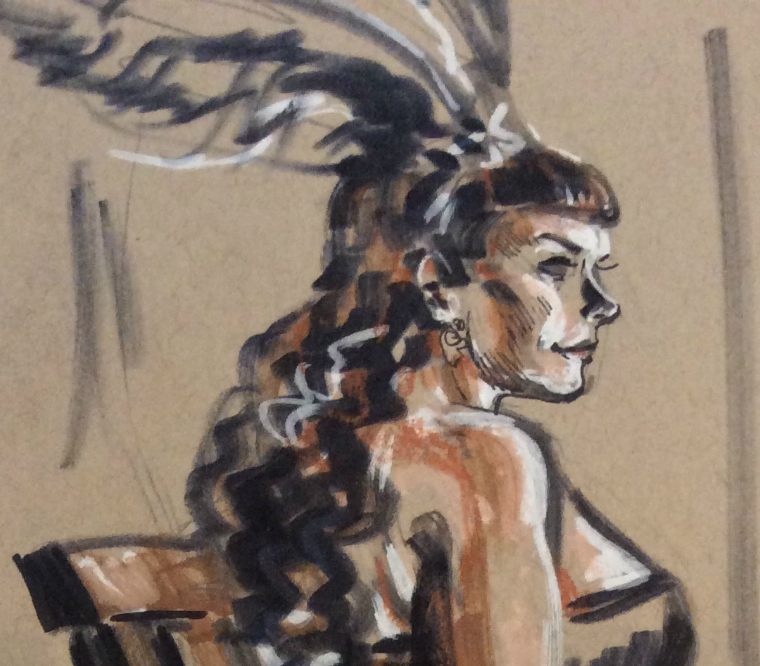 Another absolute knockout of a Dr. Sketchy’s Berlin production from LaLa Vox and Syren Joey, at the beautiful Ballhaus Berlin. The models were Valentina Demonia, who I’ve drawn many times, Martini Cherry Furter who I was discovering for the first time, and BiszhopBlaczkx. I had been wanting to draw @thebiszhopblaczkx for YEARS!!! 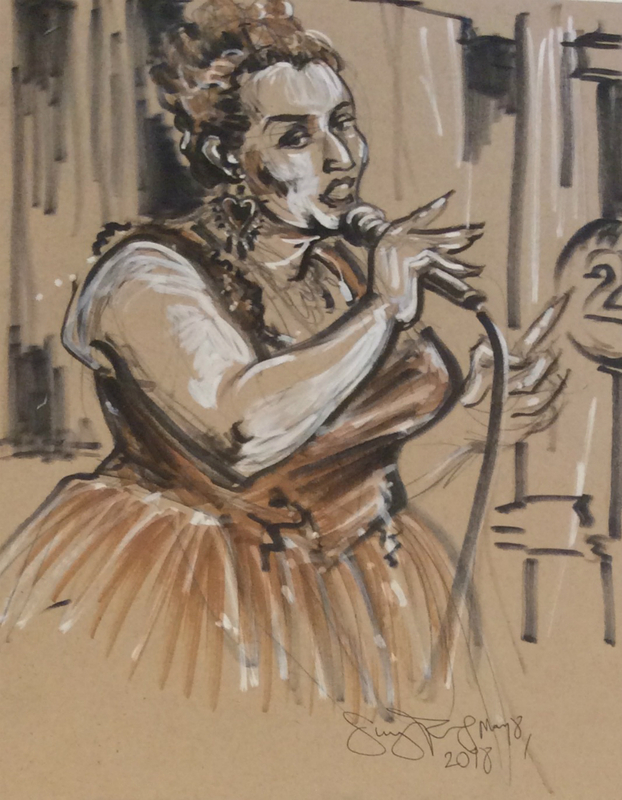 I was sick for the last #drsketchysberlin he performed at and no way was I missing this one!!! And he wore flowers on his head!!! I just loved everything about this session. I especially loved Valentina’s pasties and red thigh-high boots look, and Martini’s red and black corset! Most of Biszhop’s outfits consisted of his extreme good looks, a pretty accessory and a smoky gaze. His bits were covered, but not by much! Martini Cherry Furter both posed and performed, an exhilarating number involving the audience setting her on fire! She has incredible stage presence. She looked so good I actually lost all decorum and shouted, “Girl you are SO BEAUTIFUL!!”. She accepted that as her due, with a gracious smile. thank you so much to these amazing artists who brought their hearts and souls to the show, it was a privilege to draw you! Thank you again, @lalavox and @syrenjoey and @ballhausberlin ! and thanks so very much to my Patrons on Patreon, whose monthly financial support allows me to make art! 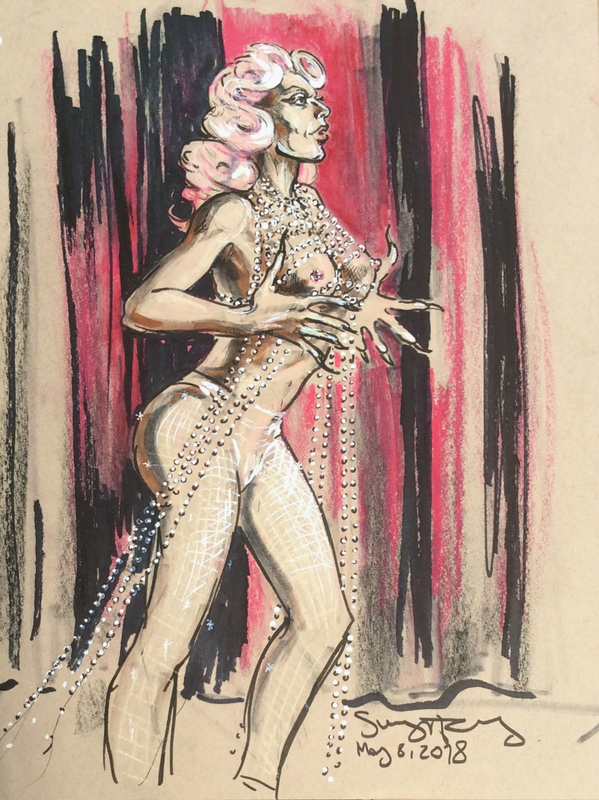 This entry was posted in Berlin, My art and tagged art in berlin, ballhaus berlin, Berlin burlesque, Berlin drawing, BiszhopBlaczkx, documentary drawing, dr sketchys berlin, drawing in berlin, Gay Berlin, LaLa Vox, life drawing Berlin., Martini Cherry Furter, pastel drawing, portrait drawing, queer art, queer berlin, Suzanne Forbes, Suzanne Forbes art, Suzanne Forbes artist, Syren Joey, traditional portraiture for alternative lifestyles, Valentina Demonia on February 18, 2019 by Suzanne Forbes. Hansel and Gretel at Dr. Sketchy’s Berlin! Second in the Fairy Tale series, and full of witchy goodness. 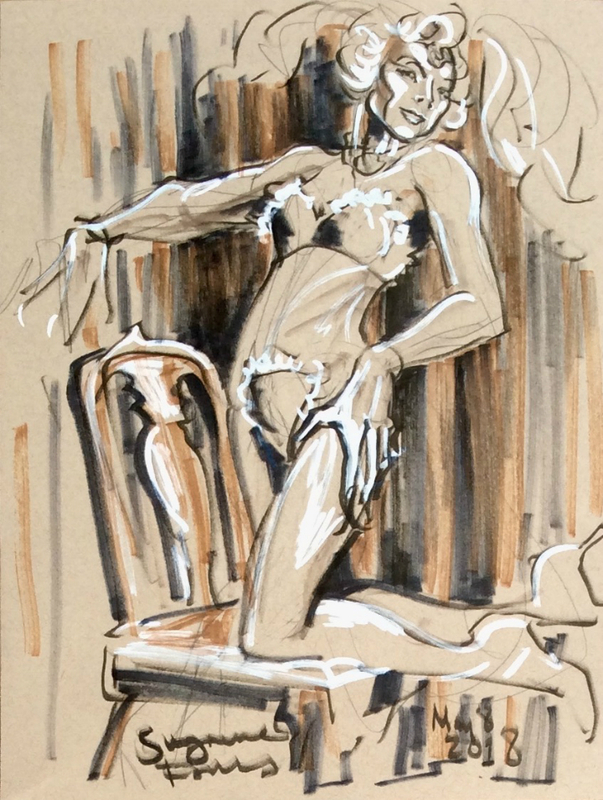 I had a lovely time as always at Dr. Sketchy’s Berlin. Wonderful costumes and posing by models Banbury Cross (Gretel), Hedoluxe (Hansel) and Evilyn Frantic as The Witch. At one point the witch got a bit less clothing, in gorgeous vintage lingerie. Co-organizer LalaVox and The Narrator, Marijn van der Waa. My mom was here visiting and got to see the beautiful and historic Dr. Sketchy’s venue, Ballhaus Berlin. and thanks so very much to my Patrons on Patreon, whose monthly financial support makes it possible for me to make art! 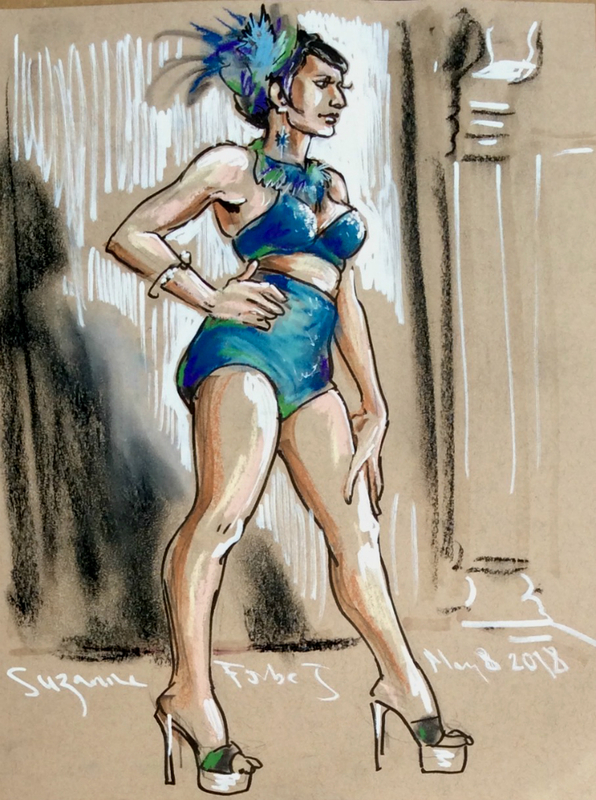 This entry was posted in Berlin, My art and tagged "Glücklich in Berlin", art in berlin, ballhaus berlin, Banbury Cross burlesque, Berlin burlesque, Berlin drawing, dr sketchys berlin, drawing in berlin, Evilyn Frantic, fairy tale art, Hansel and Gretel, Hedoluxe, live drawing, pastel drawing, portraiture, Suzanne Forbes, Suzanne Forbes artist on October 25, 2018 by Suzanne Forbes.